You don’t have to be a family of skiers or snowboarders to enjoy a winter vacation. Mountain towns offer so many activities — both on and off the slopes — including beautiful ski lodges, snow tubing, ice skating, hot springs, shopping, dining and best of all, a cozy ambience. Consider one of these winter vacations for non-skiing families. Situated within Banff National Park, the beauty of Lake Louise and the surrounding national park will easily bring non-skiing families to this mountain town. But if the beauty of the snow-capped mountains and wildlife, acres upon acres of trees and crystal blue ski happen to become a bore, there are tons of things to do, too! The quaint town of Banff itself offers numerous shops and restaurants and log-cabin like hotels. Take a dip in the more than 100-degree natural hot springs found just outside of town. Families will love to go snow tubing, snowshoeing or dogsledding, or take a sightseeing ride up the Canadian Rocky Mountains in a gondola to see what the skiers see — without the obligation to ski down! There are several winter-weather adventure tours to explore like snowmobiling, glacier icefield exploring and dogsledding. Once you’ve finished with the mountains, make sure to take in Lake Louise itself. The emerald green water will very likely be frozen solid during your winter visit, but there is still fun to be had. 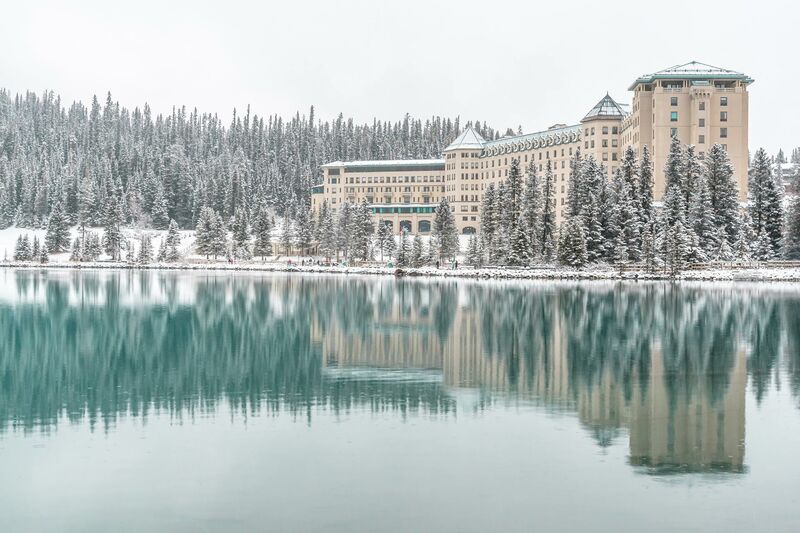 Ice skating and sleigh rides are the highlights and if you visit in January during the Ice Magic Festival, the ice craving competition that takes place on Lake Louise is sure to solidify your family’s non-skiing mountain vacation. Situated less than two hours north of Vancouver, both the mountain and village at Whistler Blackcomb offer so much for families to do. There’s snow tubing, snowmobiling and snowshoeing tours; an art museum and cultural center; Nintendo gaming lounges and a peak-to-peak gondola ride that lets you enjoy the mountains sans skiing. The adults will love the outdoor hot springs and massage treatments at the Scandinave spa, and the kids will love to explore the Magic Castle and Tree Fort, an outdoor children’s play area. Spend the evening appreciating those who like to ski and snowboard at the free Fire and Ice Show, held weekly. The pros jump and flip through fire on the slopes, and the music and dance performances end with an amazing fireworks display. 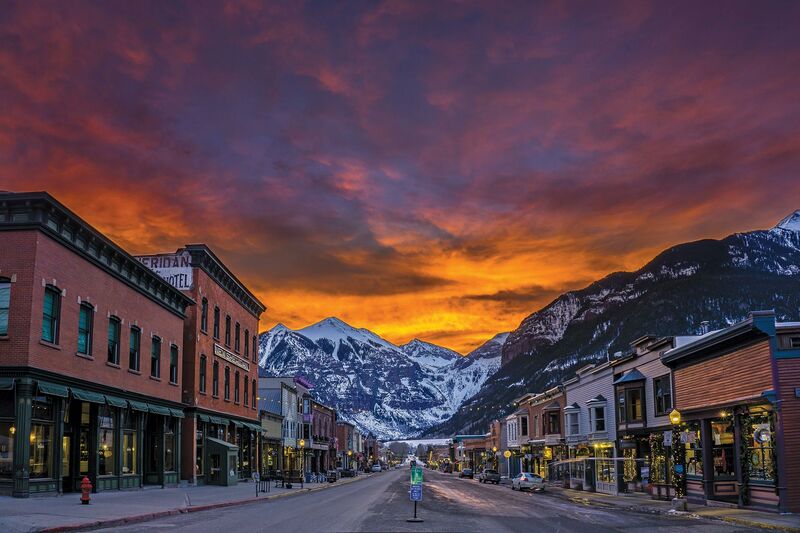 The historic ski town of Telluride is located about six hours from Denver, but it is worth the journey once you arrive. The charming town itself will remind you of a coal mining town from years ago. Stroll the streets and make a stop at the Telluride Historical Museum, to learn and see all the artifacts from the town’s mining and ski history. When it’s time for some excitement, take the kids snowmobiling, snowshoeing, ice climbing or snow biking. Instructors guide families down the mountain in what is sure to be an adventure for non-skiing families. Kids Snow Camp for ages 5 to 12 will have kids doing all sorts of indoor and outdoor activities. Lunch and any outdoor equipment are included. The cold and snow does not slow down the outdoor adventures for non-skiers at Big Sky. Thrill seekers will love the adventures waiting at Big Sky. Take a chair lift to the top of Big Sky Resort’s Adventure Zipline Tour and then zip down the mountain’s four lines that are more than 150 feet off the ground. Families can even race each other down the twin zipline! Once you are high in the sky, why not stay up there and check out the high ropes course, too? Families will navigate the challenging course 30 feet off the ground. If that’s not enough thrills for your family, check out the bungee trampoline and the giant swing, which also has you swinging 30 feet in the air. For those who may not be looking to get their heart rates rising that much, there are also snowshoeing tours, horse-drawn sleigh rides and dog sledding at Big Sky Resort. This Victorian town is one of the Rocky Mountains’ oldest ski towns. Families will love to take a stroll down Main Street and peak into the cafes and shops along the way. 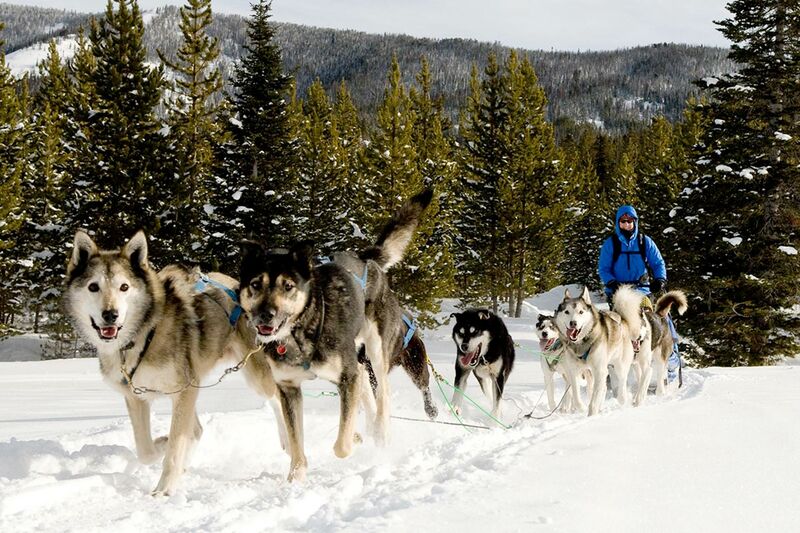 Dog sledding and ice skating are fun things for your non-skiing family to enjoy outdoors. But the favorite at Breckenridge may be the Alpine Coaster. Put on the snow pants and goggles and get ready to ride the two-seater coaster 2,500 feet down the mountain. Kids can wave to the skiers as the coaster runs along the ski trails, making dips and turns. You can ride alone or with a friend and you get to control your own speed, so all levels of adventurers will love this snowy coaster ride. Whiteface Mountain – Lake Placid, N.Y. Considered one of the top eastern ski resorts with off-mountain activities, Whiteface is an excellent mountain choice for non-skiing families. Host of the 1980 Winter Olympics, the bobsled experience at Lake Placid is one of a kind. Along with a professional driver and brakeman (you need both, of course! ), you can experience the sled just like the professionals. Families will race down the half-mile track, around turns and up the sides of the track at more than 50 mph. It’s a fast ride, less than a minute, but it’s one your family is sure not to forget. If you are looking for something a little slower on your non-skiing family vacation, check out the Lake Placid Olympic Museum or take a twirl around the ice skating rink. Non-skiing families will love the winter zip tour at Sundance Mountain Resort. Bundle up and fly across the nearly 4,000-foot long zip-lines across the snow-covered Mount Timpanogos. You can ride doubles and race each other and also control your own speed, for those looking to go slower and take in the scenery. The Full Moon Cross Country Skiing self-guided tour allows visitors to roam the forest trails at night with headlamps guiding the way. Or go Night Owling, a guided snowshoeing tour where you will search for live owls and learn about the snowy wildlife. The Sundance Film Festival, which brings more than 40,000 people to town each year, is held in January. So if your family is filled with movie buffs, make sure to plan your visit accordingly. 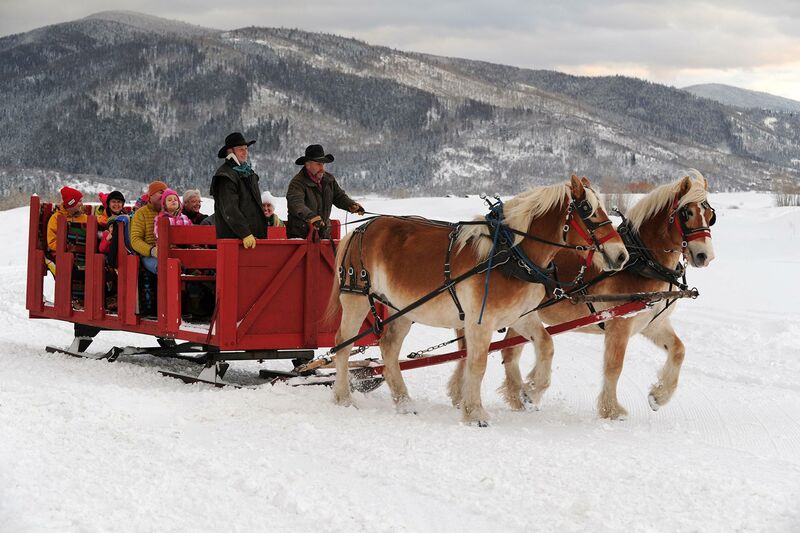 Natural hot springs, snow tubing, snowmobiling, sleigh rides and horseback riding are just a few of the highlights for a winter vacation for non-skiiers at Steamboat Springs, about three hours outside of Denver. There is a mountain coaster for those who want speed and a fly fishing and spa treatments for those who want serenity. Scenic gondola rides, snowshoeing tours and photography tours for those who want to take in the mountainous beauty and hot air balloon or helicopter tours for those who are looking for a bit more height. Steamboat Springs has something for everyone — even top-notch skiing and snowboarding for those who may want to give it a try!